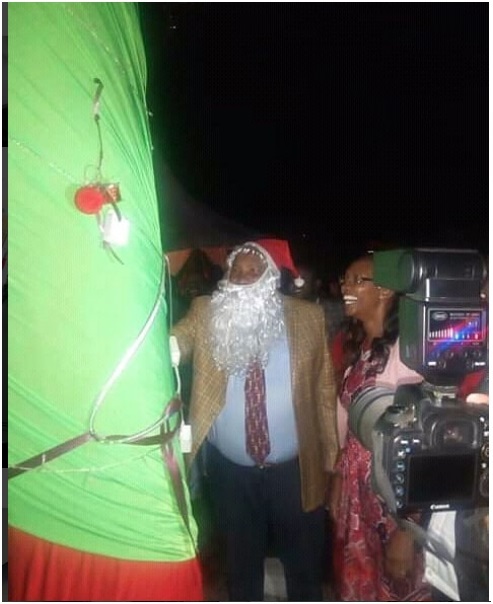 Home / Entertainment News, Gossip and Drama, Other Political News, Politics / WAITITU looked like a nincompoop dressed like Santa as he launched Christmas tree lighting ceremony (PHOTOs). WAITITU looked like a nincompoop dressed like Santa as he launched Christmas tree lighting ceremony (PHOTOs). 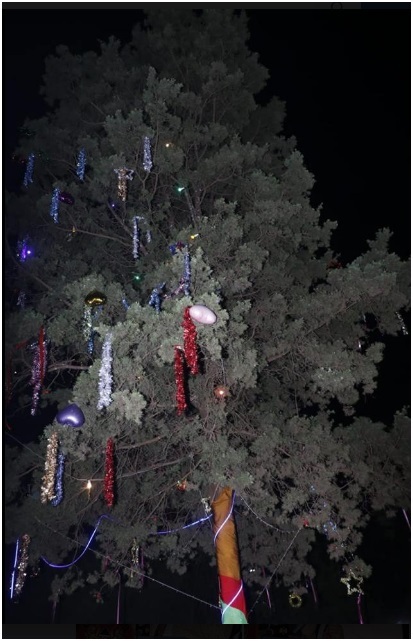 Wednesday, December 12, 2018-Kiambu Governor, Ferdinard Waititu, popularly known as Baba Yao, is once again trending online after he launched a Christmas tree lighting ceremony at the County Headquarters in Kiambu town. The reason for Waititu trending is not because of how the ceremony was colorful-NO, the controversial Governor is causing a buzz because of the way he was dressed. The former stone thrower tried to dress like Santa but flopped badly and ended up looking like a cartoon. Check out this photo that has gone viral. And this is how the mediocre Christmas tree looks like.